Donahies Community School in Donaghmede, Dublin 13 offers adult education, courses and lifelong learning. 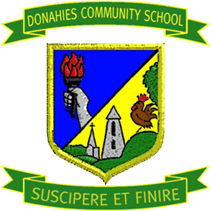 The Donahies Community School has been running adult education, evening classes and courses for the local community of Donaghmede, Dublin 13 since 1980. We provide day and evening classes in a friendly environment. A wide variety of courses are available including hobby, personal development and skills based classes. As our school is a one storey building in Donaghmede, it is very wheelchair friendly for adults enrolling in courses. The school also has designated disabled parking spaces, ramps into the canteen area and toilets for the disabled. Our canteen facility provides students the opportunity to enjoy a cuppa at break-time as they get to know their fellow students. For more information about adult education and courses at Donahies Community School in Donaghmede, Dublin 13, please view our courses below in the Nightcourses.com Course Finder or contact us using our details below. Self Defence For All course - without getting hurt!